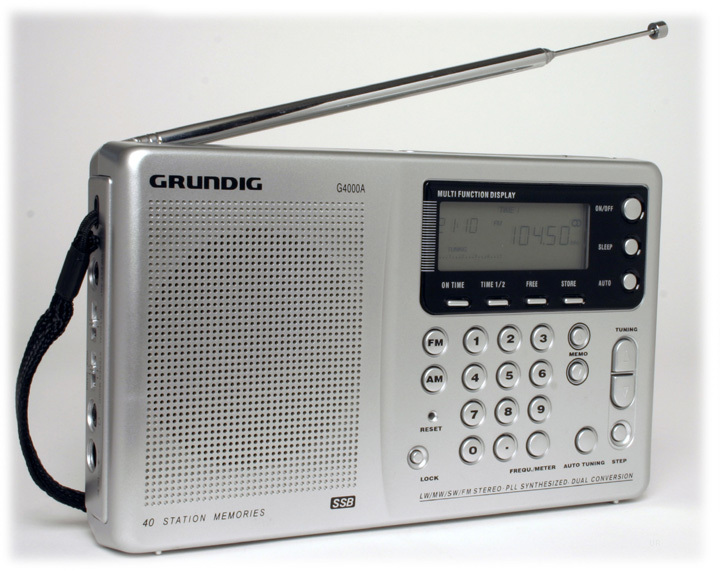 The Grundig G4000A is back by popular demand! With its sleek titanium look, it is packed with features like no other compact shortwave radio in its class. Coverage is complete including long wave (144 - 353 kHz), AM band to 1710 kHz and shortwave from 1711 to 30000 kHz. 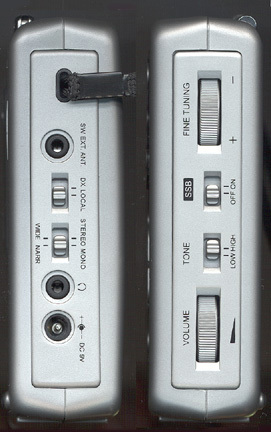 FM stereo is provided to the headphone jack. A thumb wheel knob on the side of the radio provides smooth single sideband (SSB) tuning. Single Sideband allows for the reception of two-way communications such as amateur radio, military, maritime and international aeronautical traffic. 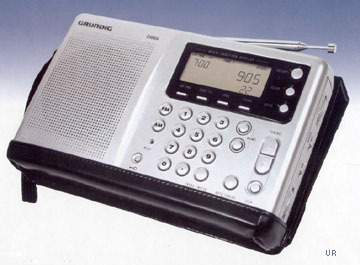 The illuminated digital display provides tuning resolution at 1 or 5 kHz on shortwave. Precise tuning is assured. Two bandwidths are featured. The narrow position affords maximum selectivity, or the wide position may be chosen for best audio fidelity. The keypad will quickly get you to any frequency or store up to 40 of your favorite stations in the presets. The presets may be accessed directly or you can scan through them by using the radio's second set of UP/DOWN buttons. The G4000A can also frequency search. The dual digital clock is visible while the radio is playing. Other refinements include: snooze and sleep buttons, lock, Hi/Low tone switch, Local/DX switch, and 9/10 kHz MW step selection. External jacks on the side of the radio are provided for earphone (3.5 mm), antenna (3.5 mm) and 9 VDC input. 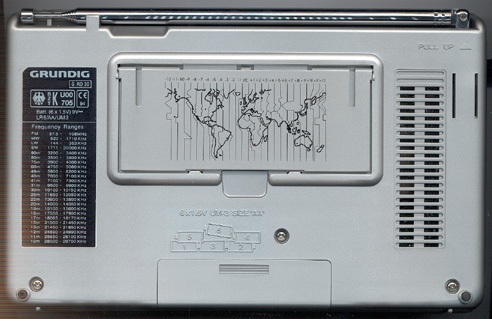 The G4000A comes with: Grundig AC adapter, stereo ear buds, wind-up antenna and multi-language Owner's Manual. Please note that this radio does not include a carry case (even though it is indicated on the box). Requires six AA cells (not supplied). The cabinet has a stunning titanium colored finish. The back of the radio even has a flip-out tilt stand. 8W x 5H x 1.5D inches 1 lb. 5 oz. (203x127x38mm 595g). One year limited warranty.